[dropcap]V[/dropcap]isual Culture Research Center and Krytyka Polityczna invites you to the opening of the exhibition Lockout, which will take place on Thursday, November 6th at 19:00. Curators: Oksana Briukhovetska (Visual Culture Research Center, Ukraine) and Stanisław Ruksza (Center for Contemporary Art Kronika, Poland). 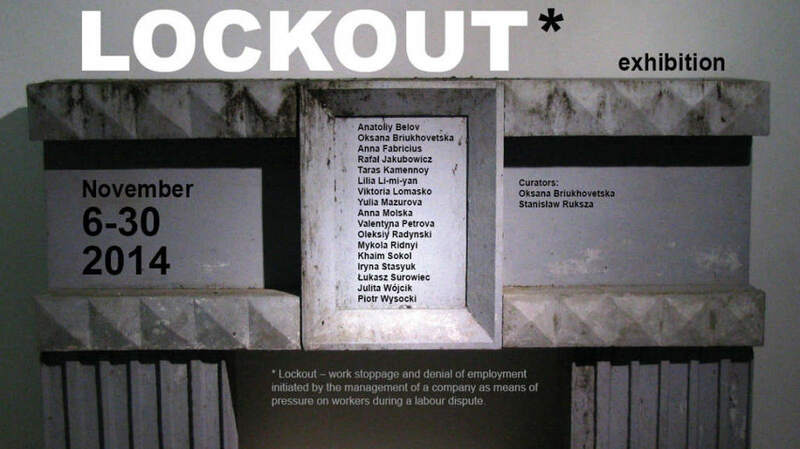 (44 Hlybochytska Street (1st floor), Kyiv)[/quote]Exhibition’s title Lockout refers to the work stoppage at the enterprise initiated by the employer – practice, which is forbidden in many countries but Ukraine. Curators consider this phenomenon a metaphor of the social situation in post-socialist world. Works, presented at the exhibition, reveal the hidden, or invisible, reality of labour as one of the most routine and important aspects of human life. Exhibition Lockout includes critical art works from Poland, Russia, Ukraine, and Hungary. Exhibition participants: Anatoliy Belov (Ukraine), Oksana Briukhovetska (Ukraine), Anna Fabricius (Hungary), Rafał Jakubowicz (Poland), Taras Kamennoy (Ukraine), Lilia Li-mi-yan (Russia), Viktoria Lomasko (Russia), Yulia Mazurova (Russia), Anna Molska (Poland), Laura Pawela (Poland), Valentyna Petrova (Ukraine), Oleksiy Radynski (Ukraine), Mykola Ridnyi (Ukraine), Khaim Sokol (Russia), Iryna Stasyuk (Ukraine), Łukasz Surowiec (Poland), Piotr Wysocki (Poland). We can see how in Eastern Europe local phenomena correspond to the problems of the neighboring countries. 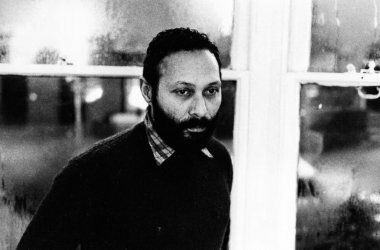 Working with those, who are expelled from the world of wealth, artists make them visible. And this may become the first step towards important changes. November 7th, 19:00 – screening of Fortress, Common Places by Mykola Ridnyi. November 8th, 19:00 – screening of Integration, Referendum, Ukraine Goes To War by Oleksiy Radynski. Exhibition is open from the 7th until the 30th of November, from 12:00 until 18:00, every day, except Monday. Oksana Briukhovetska – artist, curator at Visual Culture Research Center. Graduate of the National Academy of Fine Arts and Architecture, Kyiv. Curator of the exhibitions Childhood. Uncensored and Ukrainian Body at Visual Culture Research Center. Stanisław Ruksza – curator, art historian. Director of the Center for Contemporary Art Kronika (Bytom, Poland). Author of the numerous publications about contemporary art, coordinator of Political Critique club in Śląsk.